Classic Cathedral Ring Style. Definitely a Timeless Engagement Ring Style. The Sleek Simplicity of this Ring Accentuates the Primary Gemstone. 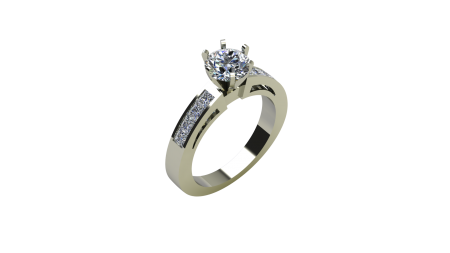 The Channel Set Accent Diamonds are Securely Protected Making this Ring a Favorite Among those with an Active Lifestyle!